Ponca City Broadband is off and running with Phase 1 of the project. Phase 1 will provide high-speed internet accessibility to homes located within the area of 14th Street to Union Street and Bradley Avenue to Highland Avenue. Residents who live in the Phase 1 area are encouraged to pre-sign up for this new Ponca City Utility Authority service. The pre-sign up process does not require signing a contract or paying any money up front. The information will simply be used to help determine the street order for network construction. Neighborhoods with higher customer pre-sign up numbers will be constructed first, and therefore receive service sooner. and 1 Gb for $250 a month. Service will not require time-commitment contracts and will not employ the use of data caps in any of the services offered. Customers will receive the allocated bandwidth they subscribe to receive every time they use the connection throughout the month. 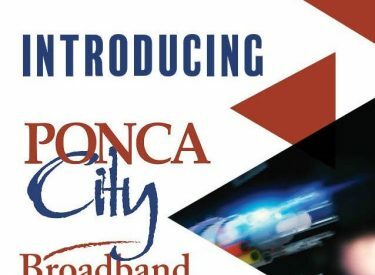 Ponca City Broadband will only use new fiber optic cabline withint the system. Fiber optic network access is absolutely the fastest possible connection to the internet, and it is capable of providing even higher speeds in the future, as new electronic equipment becomes available. To pre-sign up for the service in the Phase 1 area, go to http://www.poncacityok.gov/broadband, or call (580) 767-0311.